In a recent interview, Nintendo’s Shigeru Miyamoto revealed that Pikmin 3 will not be as “user-friendly” as the second game in the series and is being developed to be more like the original Pikmin. By going “back to basics” he hopes to make the upcoming Wii U title a more “strategic game” that makes players feel “some stress”. Miyamoto did not specifically mention the aspects of the original title that would be in Pikmin 3, but his comments seem to suggest that we could see the return of the first game’s time limit that forced players to complete the entire adventure within a certain amount of time. Pikmin 2 removed the overall time limit, which allowed players to make multiple trips to the surface to fully explore each area. While I agree that the timer in the original added some amount of stress to the game, I’ve always considered its absence in Pikmin 2 to be the single biggest improvement that Nintendo made in the sequel. Assuming the timer is indeed one of the changes that Miyamoto is putting into Pikmin 3, it is not a change that I’m all that excited for. 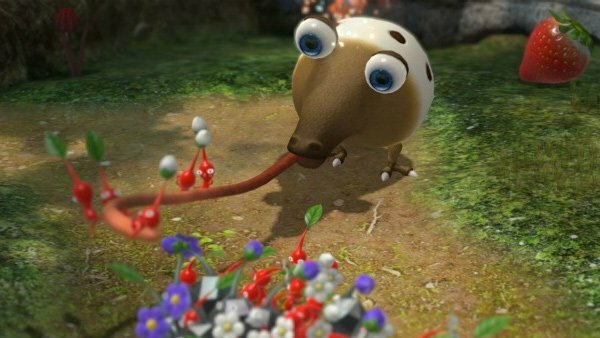 Pikmin 3 is set to launch for the Wii U sometime during the second quarter this year. We will let you know as soon as more details about the game surface.